Maytech Advanced Composite Carbon Fiber propeller has a structural strength near that of metal propellers. 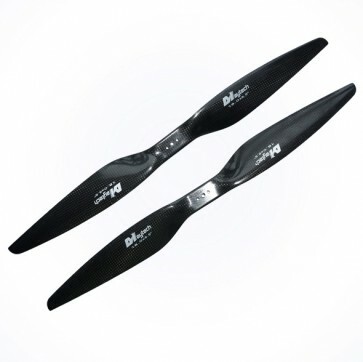 Because of the stiffness achieved by using carbon fibers, the prop will do very little coning (bending forward) under power. Proper fiber placement allows the prop to flex torsionally for maximum cruise efficiency. The strongly fixed position of the blades along with optimum torsional performance translates into more thrust than conventional propellers. The interior structure fixed with fiberglass and balsa wood, providing a stronger, more durable and impact-resistant product, also reduces propeller assembly weight and improves product life. Center hole size: 4mm(can be customized), other hole 3mm. The propller hole size can be customized with your requirements.